​Exiled. Powerless. The world he grew up in is changing—he feels it, feels the devastation being wrought. But what can he do so far away from home? Lost. Afraid. She’s being enlisted to help save Alam Dongeng—a magical world she knows little about. How can she tell stories she doesn’t even know? Worried. Confused. He’s long forgotten his grandfather’s stories—it’s familiar, but he’s never really believed in them. Why should he start now? 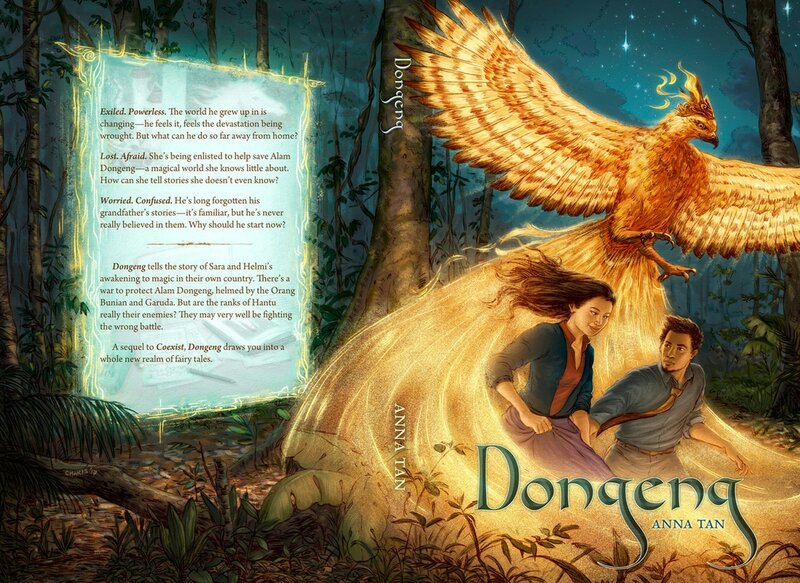 Dongeng tells the story of Sara and Helmi’s awakening to magic in their own country. There’s a war to protect Alam Dongeng, helmed by the Orang Bunian and Garuda. But are the ranks of Hantu really their enemies? They may very well be fighting the wrong battle.